Recently I had the opportunity to purchase almost 50 used CDs at a very good price. I’m slowly going through these and will be posting some of the better ones in a few special “retro” Picks of the Week articles. Enjoy. For a moment, put aside the fact that this piece won the 2014 Pulitzer Prize for music. Commissioned by the Seattle Symphony Orchestra, Become Ocean invokes a majestic and disturbing vision of our world after a global warming event. But you put aside that notion as well, if you must. 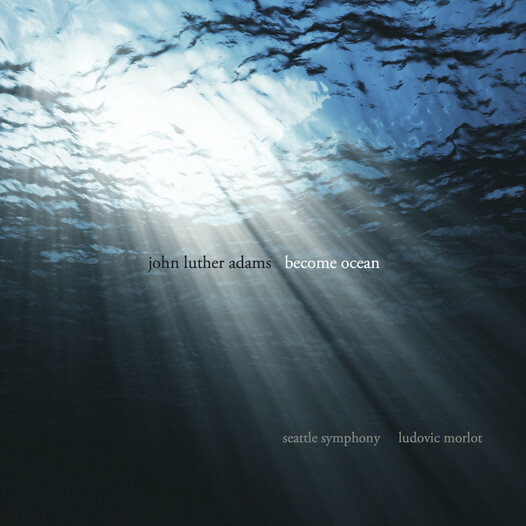 Become Ocean is a fine piece of modern classical music that straddles the line between the conventional and experimental. Adams’ strategy for this composition was to divide the orchestra into string, woodwind, and brass sections, and give each a swelling and ebbing wall of sound. Accentuating these atmospherics are piano, harps and percussion, which play mostly, or off and on, throughout. Tidal frequencies and patterns are clearly suggested, as are coastal winds and the crashing of waves. But the dark, lushness of Become Ocean dominates this 42-minute piece. Without using electronics, Adams has created a post-minimalist cascade of drones that sweeps and lumbers like a subtle electroacoustic recording. Become Ocean comes out today on Cantaloupe Music. Doug Wieselman is a serious man, who has been making music in a variety of settings, in NYC since the mid 80s. He’s played with everyone from the Lounge Lizards to Marth Wainright, John Zorn to Antony and the Johnsons. His sounds is instantly recognizable and his personailty is completely endearing. For this conversation, Doug and I travel from LA to NYC and make many stops in between. Bad Luck (drummer Chris Icasiano + saxophonist Neil Welch) release their third full-length record Three, available through local record label Table & Chairs, or free with a $15 donation tonight. Opening the show will be songwriter Tomo Nakayama of Grand Hallway. Scrape returns to the lovely acoustic of the Chapel Performance Space stage with new tunes by James Knapp and a premiere by guest composer Brendon Williams. Gorgeous sonorities characterize this improvising string orchestra’s sound. With soloists Gregg Belisle-Chi, Chris Symer and Julian Smedley, plus others. min is a new piece for chamber orchestra by Seattle composer John Teske, the third in a series of works dealing with human consciousness. The theme is “intention,” specifically on where individuals and groups place their focus and how they make choices. min will be premiered by the Broken Bow Ensemble, a 26-piece group of strings and woodwinds, each with an individual part.